The Lima bean was first cultivated in Peru in 6000 B.C. The bean is named after the capital of Peru. Numerous varieties exist, in various colors, shapes and sizes. Lima beans are extremely high in protein. Central American Indian tribes used a combination of Lima beans and maize to meet most of their dietary needs. The early world explorers and settlers favored Lima beans because of their ease in drying and transporting. The Lima bean is an annual, which means that it spends its entire life in one growing season. The Lima bean will grow, flower, seed and then die. 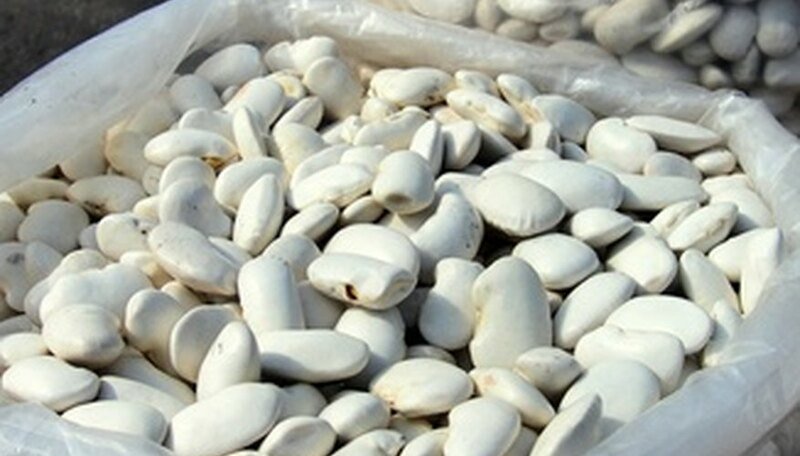 Most Lima beans will sprout and mature within 75 to 90 days of planting. The Lima bean is considered to a be a tender annual, which means that it is very susceptible to frost and can easily perish if the temperatures dip. Plant Lima beans 3-4 weeks after all danger of frost has passed. They require a soil temperature of at least 65 degrees Fahrenheit or higher. The Lima beans can be started easily indoors 2-3 weeks before transplanting into the garden. The Lima bean requires at least 60 to 90 days of frost-free weather to produce beans successfully. Lima beans are commonly grown in a bush variety or a vine. The vine Lima bean varieties can often grow up to 12 feet in height. The bush varieties average around 2 to 3 feet in height and tend to produce smaller beans. Lima beans prefer to be grown in full sun with well drained soil. Soil pH should be around 6.0 to 6.5. Work peat moss into the soil at a ratio of 50 percent peat moss mixed with 50 percent garden soil before planting Lima beans. Plant seeds 1 1/2 inches to 2 inches deep. Plant bushes 6 inches apart and locate vines 10 inches apart. Lima beans prefer soil that is moist but not overly wet. Never fertilize a Lima bean with a nitrogen fertilizer or bean production will be poor because the plant will simply produce foliage instead of beans. Bean plants work with soil microorganisms to produce nitrogen naturally. Avoid overhead watering when growing Lima beans. During flowering the Lima bean does not like the flower-heads to become damp. Damp flower-heads can result in a poor bean crop. Use a soaker hose or drip water irrigation system to water Lima bean plants successfully. Lima beans will not produce beans if the temperature soars to above 80 degrees Fahrenheit. Lima beans are ready to be harvested when the bean pods are firm and plump. Promptly pick bean pods to encourage further flowering and bean production. Do not leave the bean pods on the plant too long or the beans will become hard and shriveled. 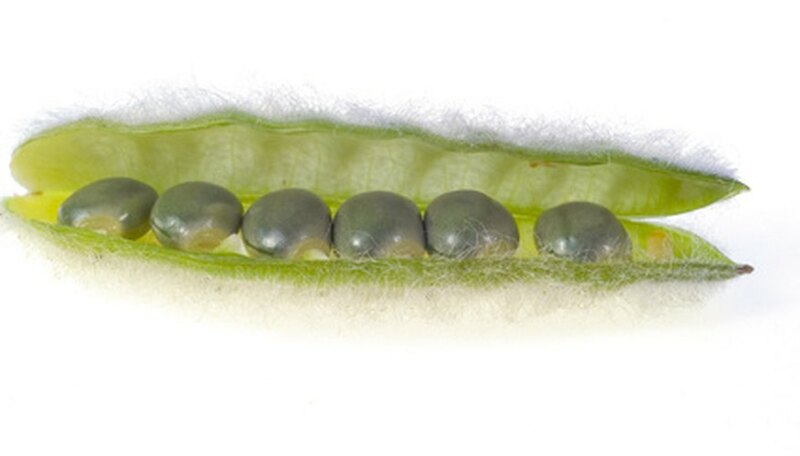 Bean pods that are left to mature on the plant will send a signal to the plant to die' so picking the bean pods and allowing the plant to flower for a longer period will extend the plant's lifespan for at least one more harvest in a season. If conditions are ideal one plant can produce three harvests in a season with diligent bean picking when ripe.